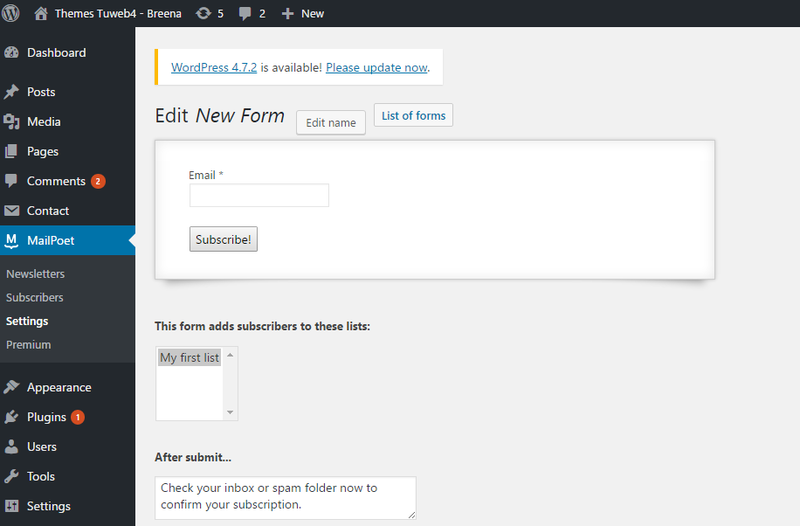 with Breena Theme I can't use the MailPoet Plugin. If I go to the page for Designing a Form I just get a part from the site. If I activate an other theme the site gets full loaded and I can use the Plugin.